It’s been quite the ride thus far with the topics covered and the studies cited. It appears as though a few additional fields of discussion could have been touched upon but the scientific literature as it pertains to EEG data in regards to those topics are limited at best. However, being already “knee deep” in the field of the “supernormal”, we will touch upon a few eye-raising topics in the second half of this piece. Let’s touch upon a few points/theories that we believe are key takeaways from this 6-part series. Some of them will be considered to be “way out on a limb” in terms of speculation while others would be considered a bit more modest. A. “Aha!” moments of insight in which (40Hz) Gamma waves were immediately preceded by a short burst of Alpha waves (8-12 Hz). B. The study published in the Journal of Neuroscience citing “phase-coupling” between Theta (4-8 Hz) and Gamma (50-150 Hz). C. The method of inducing hypnagogia described in the Thomas Edison case and the projected slow wave spike that preceded the “insight”. D. The REM sleep study which showcased Theta/Delta waves coinciding with Gamma Waves spikes in the 250 Hz range. This would lead us to believe that one might experience deeper, more profound insights in a specific arena of thought if the mind is cleared, relaxed, and passively focused. We postulate that if one were to reach a 6 Hz level (Theta) of relaxation, they would likely spike into a higher Gamma Hz than if one were to only reach a 10 Hz level (Alpha) of relaxation. The higher spike would correlate with more robust, new neural network pathways forming as it pertains specifically to that idea/concept. 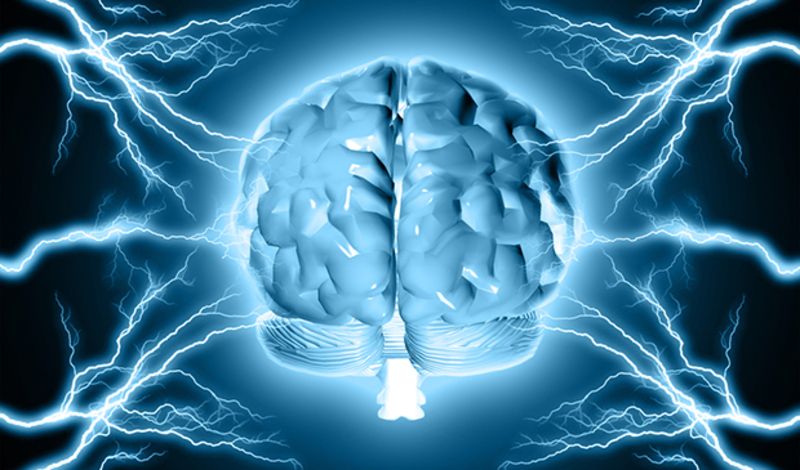 In reading much of the material relating to hypnosis, it is cited that it is the “subconscious mind” that is largely accessed during slower EEG states. However, it appears as though moments of profound insights correlate with moments of “super consciousness” that appear to coincide with Gamma waves. This is just a theory… somewhat. 2. Egg or the Bird? Do Gamma waves lead to DMT synthesis or does DMT synthesis lead to Gamma waves? From most of the observed studies and physiological states, there appears to be a correlation with endogenous DMT synthesis and elevated Melatonin levels via slower EEG states coupled with suppressed CO2 levels via a generally relaxed/rhythmic respiration rate, intermittent fasting, & atonia of the muscles (body stillness) . These parameters would also appear to coincide with the eventual formation of Gamma waves during the observed states of sleep, meditation, hypnosis, etc. However, when it comes to electrically induced lucid dreaming, “The God Helmet” experience, and “NDE’s”, it appears as though not all “altered states” require priming of the body via the described biological parameters. It seems as though a specific frequency of electrical stimulation either via an external source or physical/emotional trauma can invoke transcendental experiences as well. This leads us to believe that analyzing the body from a perspective slightly different than predominantly traditional biology can possibly provide some answers. 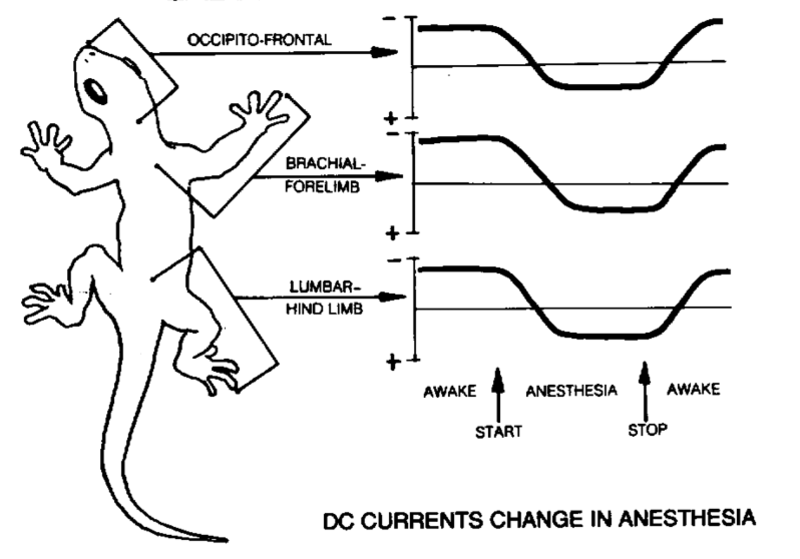 If direct current (DC) shift in the brain coincides with sleep (to a lesser extent hypnosis/meditation), and sleep/dreams correlate with endogenous DMT release, how does this reverberate throughout the body… electrically speaking? Perhaps the shift in DC direction in the brain coincides with the simultaneous increased production of endogenous DMT? Maybe this directional shift in electrical signaling within the brain is the basis for the Wim Hof Method and subsequently the “supernormal” abilities to influence electrical signaling throughout one’s body? It’s rather well known that “pure” water (deionized or distilled) does not conduct electricity. However, when an ionic compound such as sodium chloride (salt) is added to this purified water, the water becomes capable of electrical conductivity. The higher the concentration of sodium chloride in the water, the greater the electrical conduction capabilities of the liquid. When I tend to think of the human body in terms of electricity, it would appear somewhat reasonable that a shift or change in electrical current/capacity would likely coincide with some form of alteration in terms of sodium/chloride measurements in the blood/CSF on an intracellular/extracellular level. A 1997 study in the journal IEEE Transactions on Biomedical Engineering states the following: “Modelers of electrical sources in the human brain have underestimated human CSF conductivity by as much as 44% for nearly two decades”. Is it a coincidence that a high percentage of the human and even general mammalian population experiences “dreams” at a time when CSF influx is as it’s highest in the brain and rhythmic breathing has been taking place for prolonged periods of time? 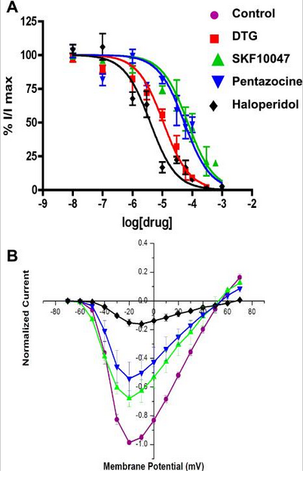 We’ll be stepping a bit outside of our comfort zone with this “wild speculation” but it appears as though the depolarization of the neuronal membrane via sodium influx might utilize DMT as a “trap door” or “gatekeeper of voltage” to halt both the inflow and outflow of sodium to keep instantaneous repolarization from occurring. This would then appear to lead to a sustained sodium shift level which would manifest itself as Gamma waves via EEG measurement. We’ll refrain from making any other crazy statements in regards to this but the general idea is that while DMT is considered a hallucinogen, it appears as though DMT might also signify a distinct shift in sodium/electrical capacity within the brain’s CSF which then causes perception changes. A 1992 study published in the journal Electroencephalography and Clinical Neurophysiology outlined the effects of hyperventilation in terms of EEG changes as well as reducing cerebral blood flow due to vasoconstriction. A 1989 study in the Journal of Neurology, Neurosurgery, and Psychiatry showcased the correlation of increased CSF volume in the brain as a result of hyperventilation. From what it appears, the lungs/respiration rate act as a pump that pushes CSF into the brain while cycling blood out of the brain simultaneously. Sounds like nonsense? Maybe it is… all I know is that something electrically is likely happening between a person’s ears during DMT/Gamma wave experiences. 4. Brain hemispheric coherence… optimization or overclocking? While the data from the study published in Cosmos & History clearly showcases the coherence across both hemispheres of the brain from external DMT administration, we have yet to dig deep into whether brain coherence is taking place in all of the “altered states” mentioned. It appears rather clear that the right hemisphere of the brain is predominantly accessed in these states but hemispheric coherence is the most intriguing possibility in our eyes. Dr. Fries would also respond with a copy of his most recent findings titled “Rhythms for Cognition: Communication through Coherence”, published in the journal Neuron Perspective in 2015. Some intriguing additional insight in regards to Gamma Waves & interhemispheric coherence can be found in the Annual Review of Neuroscience in 2012. When we dissect all of the info as it pertains to the Corpus Callosum’s correlation with increased intelligence and it’s definitive role in communicative signals between the left and right hemispheres of the brain, we can conservatively postulate that hemispheric cohesion would lead to a more optimal state of brain operation versus a lack of cohesion. The question is whether a person can sustain hemispheric cohesion across multiple bands of brain waves while maintaining their “normal” level of perception. If yes, does it allow them to tap into “greater” faculties at will? If not, what does that say about the nature of these states? Utilizing consistent logic in terms of the positive hormonal fluctuation and physiological changes during meditative & sleep states which are projected to coincide with endogenous DMT production, it would outwardly appear that hemispheric synchronization correlates with an optimization of the body and likely the brain as well. While we’ve already outlined the study of electrically induced lucid dreaming and the “God Helmet” experiences, an interesting phenomena that has been touted anecdotally throughout the ages is when the spiritual “guru” places their hands on a person and the person subsequently has a transcendental experience. In some cases, the person even claims to have been miraculously healed from a chronic ailment by this occurrence. While much of these reports have been discarded as pure fallacy of the mind, when crudely observing the electrical current directional shift in the brain and body during altered states of consciousness, it opens up the potential of the possibilities. If external electromagnetic frequencies can clearly effect brain function, and meditative practitioners of various spiritual practices can alter their own DC flow in their brain and subsequently their hands/body, is it that far-fetched that a person can have a “DMT/spiritual” experience from the guru’s hands? In 1991, the American Journal of Chinese Medicine published a study citing the biochemical functions of cells being influenced by the “energy” emitted from a “Qi-gong” master. When crudely analyzing the cascade of changes that occur in the body during states that appear to correlate with endogenous DMT production, it becomes less and less far-fetched that a vast array of cellular changes would take place based on fluctuations in electrical signaling and very basic Epigenetic principles. If we are to believe that the brain is the master control center of the body it shouldn’t be all that surprising that a distinct shift in DC direction in the brain would allow for significant abilities and/or experiences that differ when DC direction is flowing in the opposite manner. This would be considered rather basic logic… yet the complexity of all the details can clearly be labeled as infinite.